Over the last few years, most large broadcasters and OTT services have deployed multi-CDN solutions to improve the end-user experience for video. I’ve covered many instances where a multi-CDN strategy was a key component in the overall OTT workflow, as in the case of the Super Bowl, where CBS used four CDNs in a multi-CDN arrangement. There are a lot of different ways to implement a multi-CDN strategy and much of it is dependent on how much the customer wants to manage it themselves, and the resources they have internally to do so. In most cases, companies typically select two to four different CDN vendors and then have to decide how they want to manage the flow of traffic between all the vendors. Some use internal software to do the decisioning themselves, while many also use client-side or server-side solutions available from a variety of third-party vendors in the market. Companies also piece together multiple solutions that are looking at the QoE experience not just from an end-user standpoint, but also across the health of the Internet with pieces like transit, peering and network services. Implementing a multi-CDN solution for more than a one-off event requires a great deal of planning and most deployments all look a bit different. I’ve seen many multi-CDN implementations that required no less than six different vendors to make the whole thing work, based on the size, scale and complexity of the customer’s video offering. You also now have turn-key multi-CDN solutions available that make everything much simpler, depending on how much video you have to deliver, the volume of traffic you have, and the region you want to deliver it in, amongst a host of other variables. 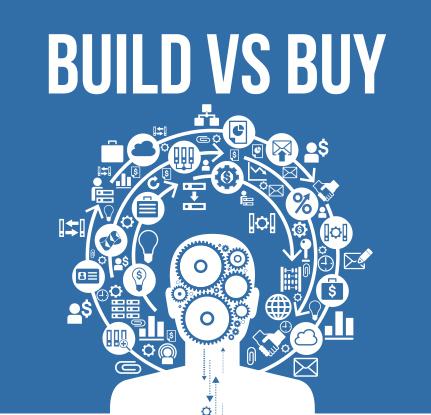 As with everything, there are pros and cons on both sides of this build vs buy decision. You can either a) build your solution and have more control or b) let someone else do it for you and rely on a specialized vendor to manage delivery end to end. The biggest OTT companies have entire teams that manage their CDNs as well as their traffic switching and analytics platforms. They take care of negotiating and contracting with all the different vendors, configuring their workflow and typically coming up with some custom tools to make it all work together. Most companies end up configuring each CDN manually, since every CDN has a different way of setting up customers on their network and that’s one of the main frustrations heard from customers. Inconsistencies amongst all the CDNs and production bugs on one CDN but not another make it time consuming to setup a multi-CDN deployment just the way the customer needs it. And even once it’s deployed, there is always more tuning and changes that need to take place, since that’s the nature of the streaming media workflow. Nothing stays consistent, new devices come out, encoding profiles change and work always needs to be done to fine-tune video delivery. Because it’s time consuming to do, I’ve seen some companies that end up building a poor man’s multi-CDN solution where two underlying CDNs are deployed in an active-passive configuration. Some people call this a “multi-CDN” but it’s really just a CDN backup and not a lot of logic or decisioning take place. Even with a strategy consisting of three underlying CDNs, if you go global, especially in specific countries, you’ll quickly find many weak spots and areas where it’s very expensive to deliver content. The big advantage of a multi-CDN DIY approach is that you can easily swap out vendors, and you have control over your infrastructure, to a degree. I’ve seen good results from OTT providers that have successfully implemented a multi-CDN strategy, but it takes internal commitment and skilled execution to make it work well. Instead of stitching things together yourself, you can choose one of the turn-key solutions available in the market. Companies like Brightcove, Ericsson and Peer5 already offer these solutions that provide the whole multi-CDN stack – a portfolio of CDNs, switching and analytics, all available under one contract. Brightcove supports multi-CDN set up if you ask for it and Ericsson now support all the major Asian and European CDNs out of the box. And a new player in this space Peer5, offers a portfolio of 15 global CDNs, server-and client-side switching and analytics under one API. As with Brightcove and Ericsson, they negotiate and contract with the underlying CDNs which simplifies the business model. These companies all claim that their solution delivers better video performance, but of course, defining what “performance” means is important and varies between customers. Citrix recently started measuring some of the newer multi-CDN platforms like Peer5, which likes to leverage more exotic routes that provide advantages during peak times and in hard to reach regions. But which provider, or multiple providers, works best all depends on what KPIs the customer is using to track QoE, how much video they are delivering, the countries they have viewers in and a host of other variables. You can build your own solution and develop the expertise to run and maintain a multi-CDN stack yourself and directly deal with multiple vendors, or you can go with a managed solution which may offer less control but can deliver better performance. There are quite a few tradeoffs. There is no one size fits all strategy when it comes to using multi-CDNs to deliver video. For anyone who says, “this is the best way to deploy a multi-CDN strategy”, they will be wrong most of the time. The deployment strategy is unique to each customer, especially if they are large, have a global audience and are doing both live and VOD video delivery. It’s a much more complex undertaking than most realize.